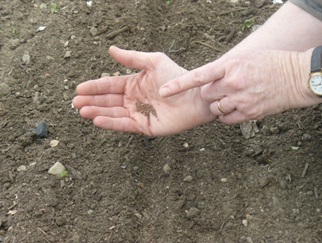 When the weather warms and the soil becomes workable is the time for sowing outdoors. 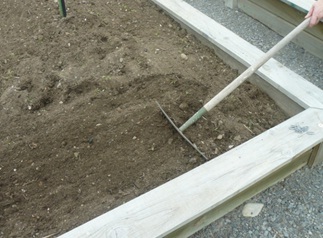 You can steal a little more time by covering the row with cloches to dry and warm the soil early. Plant your second crop of lettuces straight in the ground or use a small corner for mesclun or as a nursery for brassicas or onions to be planted out in rows later in the season. Root vegetables to not normally tolerate transplanting and their seeds should be planted in the growing site. 1. Start with some weed free, well dug over soil. 2. Hoe over to loosen the top 5cm. 3. 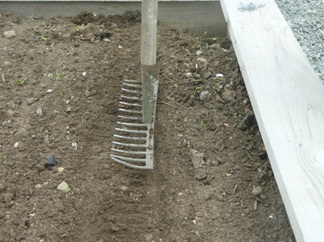 Rake level and reduce the lumps to a fine tilth to improve soil seed contact. 4. 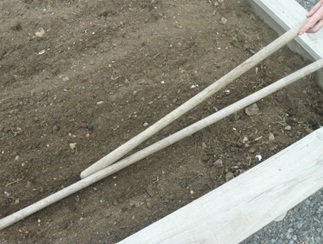 Draw a drill with the hoe handle, use a line or a tool handle as a guide. 5. Trickle the seed from the palm into the drill. 6. 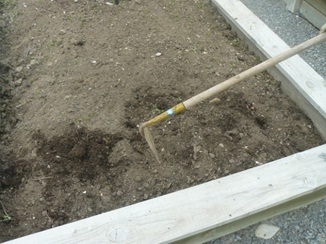 Cover the seeds with the hoe. 7. 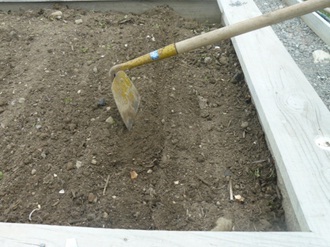 Press down the soil to close up the air spaces and to encourage the upward movement of soil water.